Many trees and shrubs carry such unique qualities and beauty that they can effortlessly be cut and arranged to make your home the envy of the neighborhood for any season. 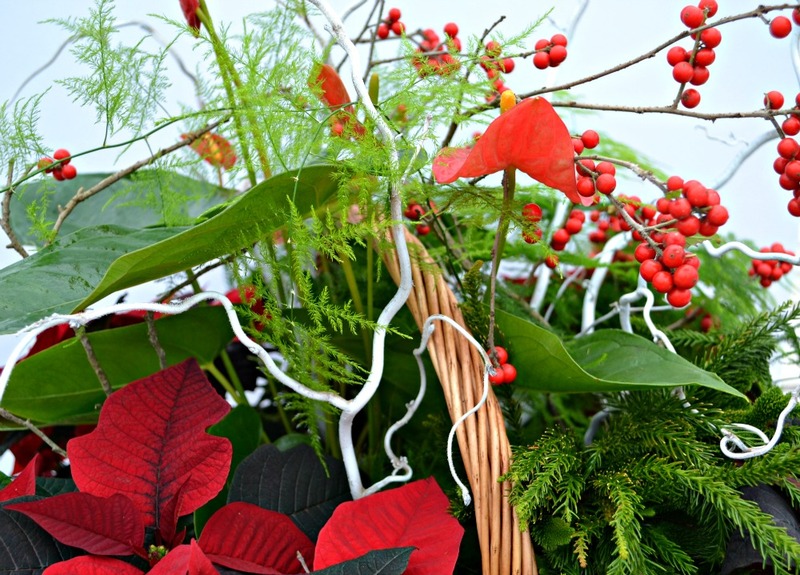 Add an extra special flare to holiday festivities using cuttings fresh from your very own landscape. The strong and sturdy stems of evergreens stay fresh a long time thus allowing for simple and easy decorating of wreaths, centerpieces, garlands or any accent your creative spark can imagine. Simple twigs can be cut and tucked into your old artificial wreath or wired into a fresh cut fir wreath to liven it up. An eye catching centerpiece can be achieved simply with a few sprays of evergreens that have different colors and textures. Silvery blues, golden yellows and emerald stems with accents of holly or curly “contorta” cuttings can add the perfect touch to your holiday entertaining. Investing in a few choice shrubs for your landscape now will ensure the joys of gathering fresh cuttings to dress up your home for years to come. When deciding which trees and shrubs to plant think about the unique characteristics each one has to offer and the ideas you may have for their use. Choose a variety of colors and textures for a stunning effect. 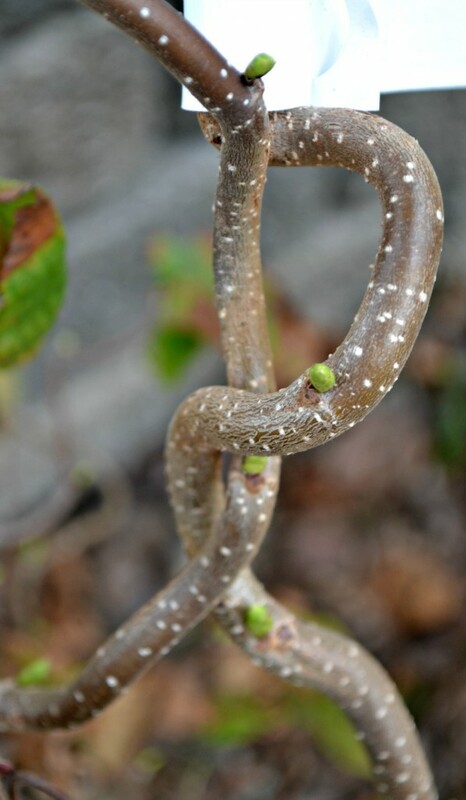 One of my favorite shrubs is Harry Lauder’s Walking Stick (Corylus avellana). This is a deciduous shrub commonly considered a dwarf tree. It can grow 8-10 feet tall and has an unusual branching pattern. They contort themselves in every which way resembling corkscrews, thus its common name “contorta”. This shrub adds quite a nice winter interest to the landscape and has many uses year round in fresh and dried flower arrangements or to give a simple statement on its own. Golden Hinoki False Cypress (Chamaecyparis obtusa ‘Crippsii’) is a favorite due to its golden yellow frond like sprawling branches. 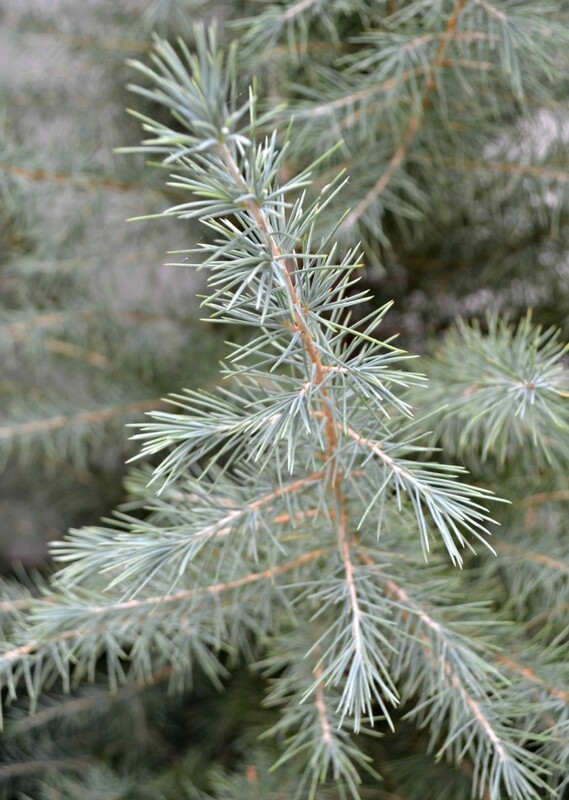 It is a slow growing soft needled evergreen reaching 10-15 feet in its pyramidal shape. It beautifully enhances a center of the garden or softens a house corner. A finely textured conifer with blue foliage is the Carolina Sapphire Arizona Cypress (Cupressus arizonica var. glabra). This fast growing tree can expand 3-5 feet per year eventually reaching 25-30 feet thus making it a great trouble free hedge or privacy screen. It’s beautiful blue foliage contrasts well with other plants and is aromatic for that sensational holiday fragrance. 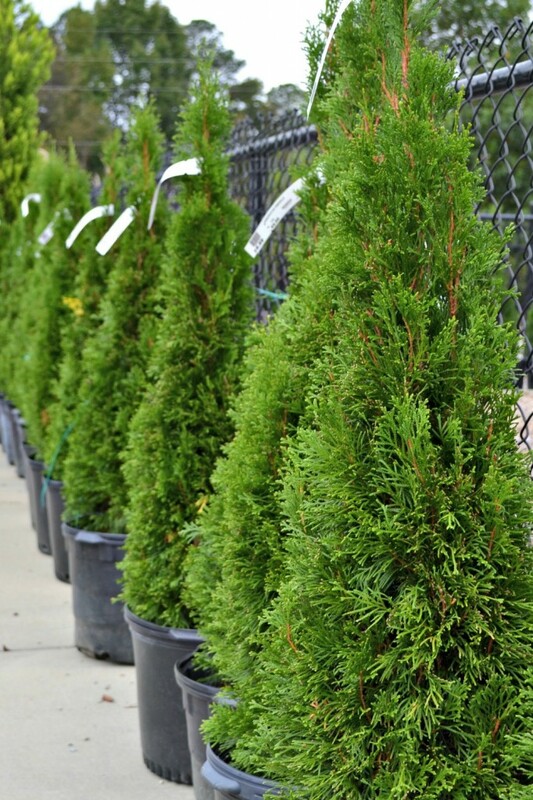 The Emerald Green Arborvitae (Thuja occidentalis ‘Emerald’) has a narrow, pyramidal shape and holds its dense emerald green foliage for long periods when cut pairing nicely with the blues and yellows of other cuttings. This tree makes a good medium to large hedge or screen along with some of the many Cryptomeria varieties that have neat little cones and are easy to grow. Deodar Cedar (Cedrus deodara) is a graceful specimen tree with long pendulous, grayish-green branches that drop at the tips. Its needled foliage grows in a narrow, upright habit 50-60 feet tall and 20-30 feet wide. 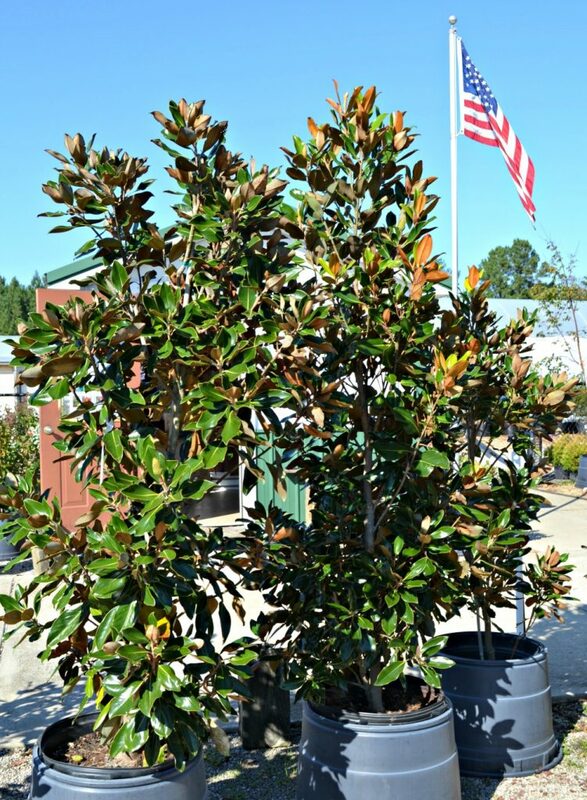 The classic Southern Magnolia (Magnolia grandiflora) takes up lots of space in the garden with its deep green leathery leaves colored rust underneath. Known for its fragrant white blossoms in summer and its ability to form beautiful, classic Christmas wreaths it is worth its space in the landscape. For a magnolia with a more compact habit try ‘Teddy Bear’. It is a dwarf only reaching 16-20 feet tall and 12 feet wide with wonderfully compact leaves making them easy to work with in creating your decorations. 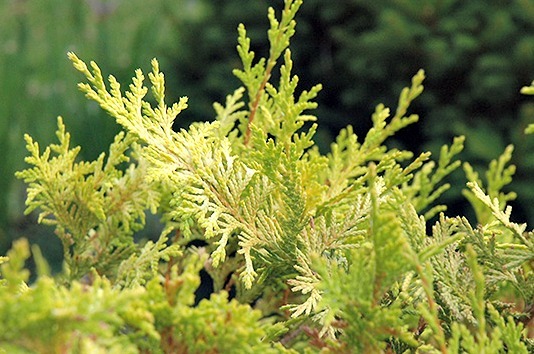 Gold Mop Cypress (Chamaecyparis pisifera) gives dramatic golden yellow color in slow growing, low, lacy mounds. Growing 3 feet tall and 4 feet wide they prefer partial shade in a mixed boarder or foundation planting. They add a colorful texture contrast to the yellows of the Golden Hinoki Falsecypress. There are many varieties of hollies to choose from. What would Christmas be without holly berries? My favorite for cutting is the Burford Holly (Ilex cornuta ‘Burfordii’). It has wonderful clusters of bright red berries that hang on long after cutting, making them perfect for centerpieces and wreaths. 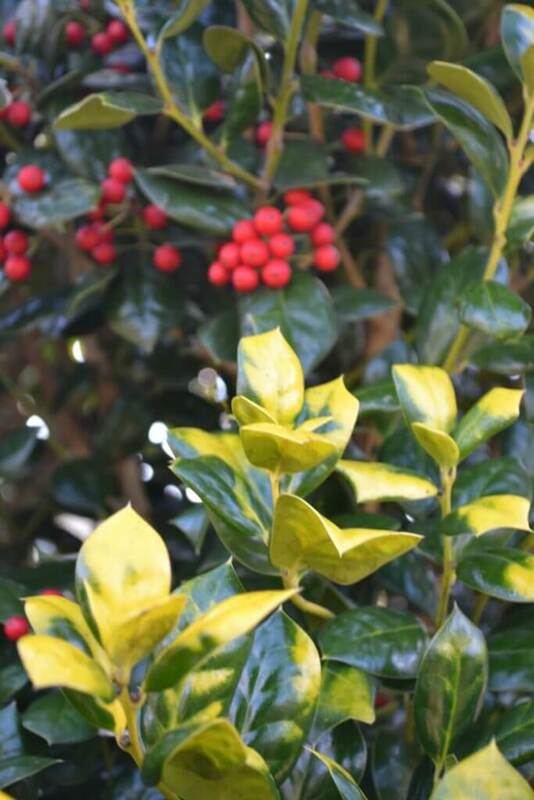 The Dwarf Burford Holly takes less space and has smaller leaves and berries if you are limited on space. With the exception of Nellie Stevens, most hollies need both female and male plants for pollination although one male can pollinate a few females. Winterberry (Ilex verticillata) is a deciduous shrub in the holly family that cannot be ignored! 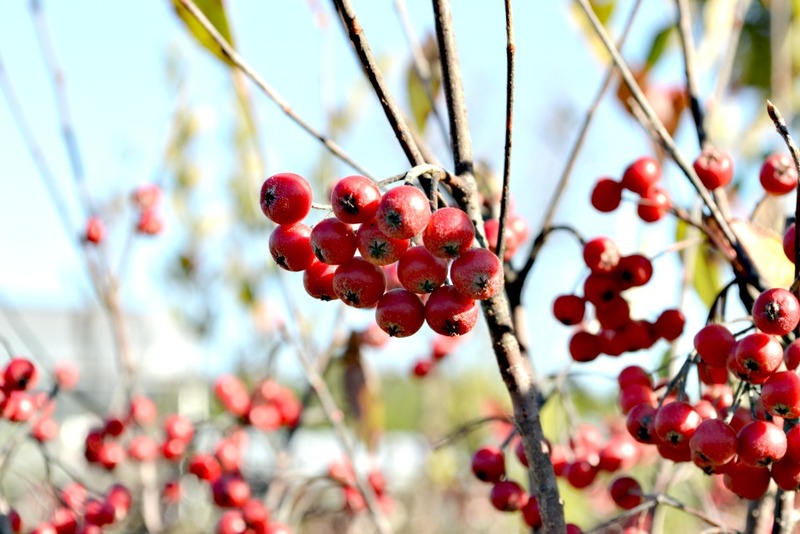 It drops its leaves to show clusters of bright red berries giving a vibrant pop of color to your landscape and bringing your garden alive in the winter. The berry clusters hang on well after cutting make them a must for arrangements. No matter which plants are chosen for your landscape you will be rewarded for years to come with their long lasting beauty. The convenience and ease of gathering cuttings from your own garden to decorate your home before guests start arriving rewards with a sense of accomplishment and pride. Fairview Garden Center carries these specimens along with many others. Our employees can help you decide on the perfect location to plant them in your landscape and guide you on their care. We always enjoy working with you.